Annie Carlson is a big dreamer and not your average farmer. She is known at the Bismarck, North Dakota based farmer’s market BisMarket for her tasty pork, baked goods and she raises vegetables that she preserves all summer and fall. She sat in my living room this past week and said she has “something like 800 jars” canned and done this fall. Do you want IN on Annie’s garden fresh and homegrown goodness? She is starting a new endeavor to help Bismarck and Minot area based North Dakotans endure the long winter with a cozy and tasty homemade Soup and Bread CSA. For those not familiar with a CSA, it’s community supported agriculture. This isn’t your average summer vegetable CSA, or one of Annie and husband John’s known and often sold-out Morning Joy Farm meat CSA’s. You can’t find this food in any store or restaurant: Soups like Knephla, White Chicken Chili, Beef Barley, or Corn Chowder; Breads like Deli-Style Rye, Skillet Cornbread, Potato Bread, or Brioche. All of the food is prepared by Annie in their new commercial kitchen to help utilize their farm products into ready-to-eat food products for North Dakotans. I love innovative people who bring ideas to life and that is what Annie and John are doing. Annie and I have differing views on some agricultural practices and issues but I learn from Annie as a woman in agriculture. We listen. We discuss. Together we have developed a strong friendship, rooted in mutual respect and grounded in a shared faith. Annie is one of those friends that will rally for you. She lets you know she is praying for you when you need it most. She shows up. She gets in the trenches and works alongside you. She isn’t afraid of blazing her own trail and doesn’t look back to see who is following. 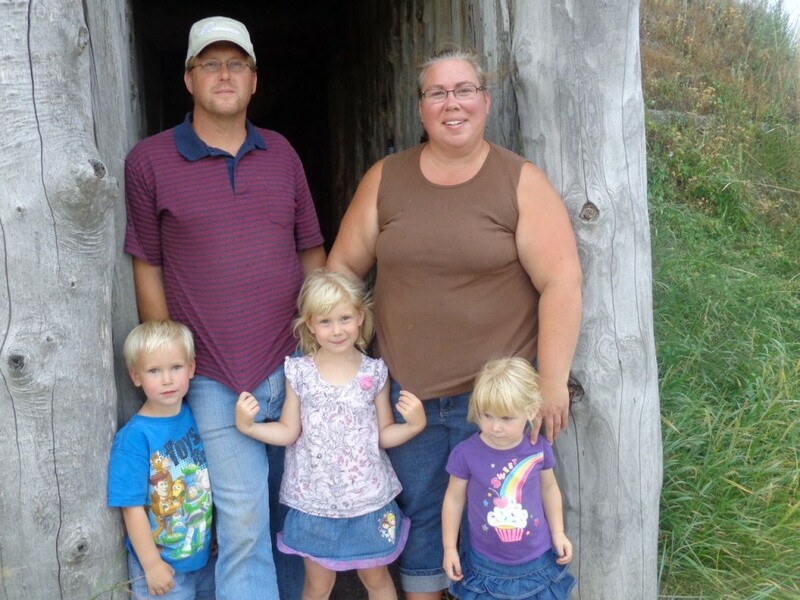 Annie and John recently relocated to her home farm at Mercer, North Dakota where they are raising their three small children. Meet Annie Carlson, below in her own words and if you are in or near Bismarck,North Dakota you won’t want to miss what Annie is sharing at the end! What is your role in agriculture today? Over a year ago, I stepped down as the executive director of FARRMS, a non-profit that works to educate and inspire small, organic or sustainable farmers. I stepped down from this organization I love to farm full-time with my husband. Our farm has grown to a point where it supports both of us and that I’m needed to move it forward even more. I had to focus my energy on our farm. Our farm is dynamic, but right now we are a grass-based farm producing exclusively grass-fed lamb, pastured pork, pastured broilers, pastured eggs, pastured turkeys and pastured geese. We also have two exclusively grass-fed dairy cows and two calves. All of our products are sold off the farm, direct to consumers via CSA’s, farmers markets, a Buying Club and on-farm sales. Our marketing area is the state of North Dakota. My title is Marketing Director/Big Dreamer, but my role on the farm is true partner. John and I love working together, whether it’s building fence or moving broiler shelters, and we love farming together with our children in tow. How has agriculture shaped your life? I’d like to change this question to “How has your life changed your view of agriculture?” Both John and I grew up in conventional farming families. We watched our fathers struggle to pay rising input costs and falling prices, all the while farming the way the “experts” told them to. I’ve tank-mixed chemicals. I’ve dug summer fallow. I’ve ran a backgrounding feedlot. We don’t farm that way anymore because we’ve seen, firsthand, the futility of fighting nature to literally scratch out a living or just another year on the farm. When we were first married in 2007, we had no knowledge of the sustainable, organic, direct-marketed or grass-based agriculture. Our journey started with small farm research and the more we learned, reflected upon our own experiences in conventional agriculture, saw our neighbors and friends farming chemically, the more we could not continue to farm that way. In the definition of Holistic Management, we could no longer make chemical agriculture meet our economic, environmental and social goals. We’ve been farming in sync, hand-in-hand with nature for seven years and we’d never go back. What do you do to encourage others? Who/what serves as a source of encouragement for you? I take the Nike approach to encouragement: “Just do it!” Do anything. Try something! I’m a do-er. I have two sayings that encourage me: “Those who say it can’t be done are usually interrupted by others doing it” by James Baldwin and “Do or not do. There is no try.” from Yoda. Telling me something can’t be done is a sure-fire way to get me to find a way to do it. Which children’s book best describes your childhood/life? My mom was an elementary teacher and a lover of great children’s literature. We were read to often and especially in the car. The “Little House Series” was one of our favorites and I’ve always identified with Laura Ingalls Wilder. What is your favorite home-cooked meal? I love to eat. And I love to eat home-grown and home-cooked food. I’m a German from Russia and the granddaughter and daughter of amazing cooks. Do I have to pick just one meal? I love chicken noodle soup with homemade noodles, kaseknephla, sausage and fried potatoes. Frankly, I’ve never met a potato I didn’t like. But if I were ever to commit a capital crime for which I would be given a last meal, it would be barbequed lamb ribs, wild rice and creamed peas with homemade chocolate pudding for dessert. If you could choose anyone, who would you pick as your mentor? I am a voracious reader, often with at least two books going at any time. Books, especially about farming, are the best way to learn from a mentor. 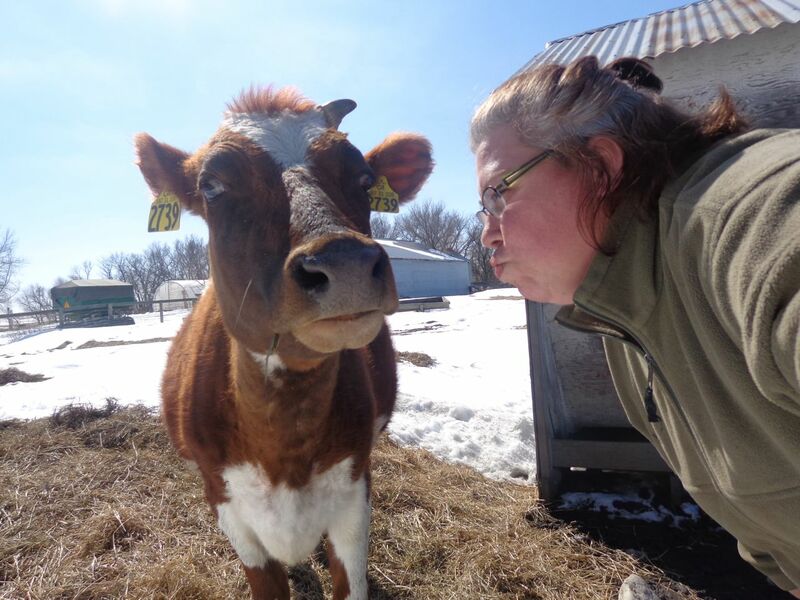 My favorite mentor-authors are Joel Salatin, Kristin Kimball, Pat Coleby, Will Winter, Allan Nation, Greg Judy, Gene Logsdon and Wendell Berry. As great as books are, sometimes I need to talk to someone and say “But what about…? ?” And for those questions, I am so thankful to have Gabe Brown and Paul Brown, Joshua and Tara Dukart, Jay and Krista Reiser, Gene Goven, Myron Lick, Kit Pharo and so many others who have stepped in at just the right time. If you had the opportunity to get a message across to a large group of people, what would your message be? Challenge your paradigms. Always look for solutions to problems rather than treating symptoms. From agriculture to family dynamics to school systems and everything in between, human nature is to find a quick fix, a band-aid. What is the real problem? Identify it and work for solutions. What makes you smile? Pigs grazing in a new paddock. Hens chasing a frog in the pasture. Laying in the grass and watching our flerd grazing. Milking my cow. My kids working with us, carrying pint-sized buckets or catching chickens. My husband. Stay connected with Annie on her website, where she is blogging 30 Days of Agricultural Books and on their farm Facebook page. And if you are in the Bismarck, North Dakota area, Annie is giving away a $450 valued, half-share of the Soup and Bread CSA! It includes 24 weeks of a quart of hearty, homemade soup and half a loaf of bread that you cannot find in any restaurants. First, just comment below on your favorite soup. You can enter in five different ways below and by sharing you are get more entries! It is open until November 14. 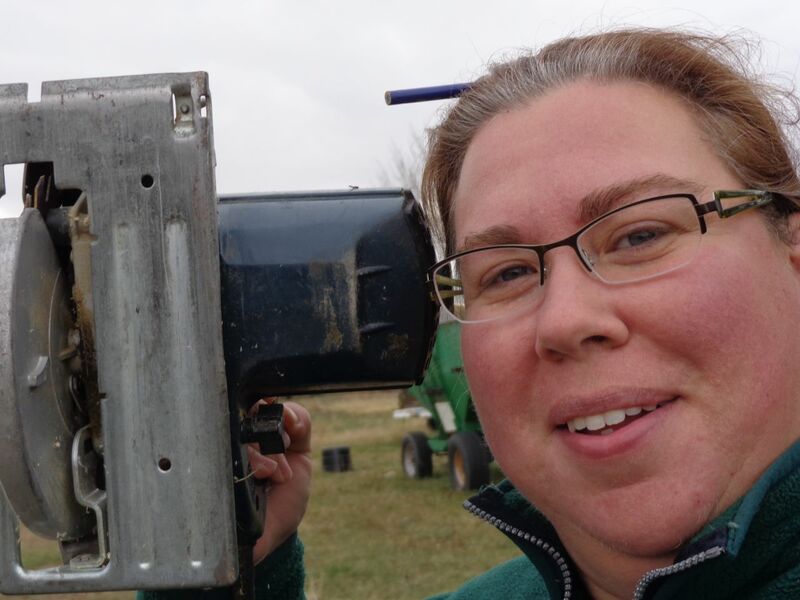 Thank you, Annie for sharing and being an inspiring women in agriculture! If you are the giveaway winner, you will have the option to upgrade to the full share for half the price. Yummy! 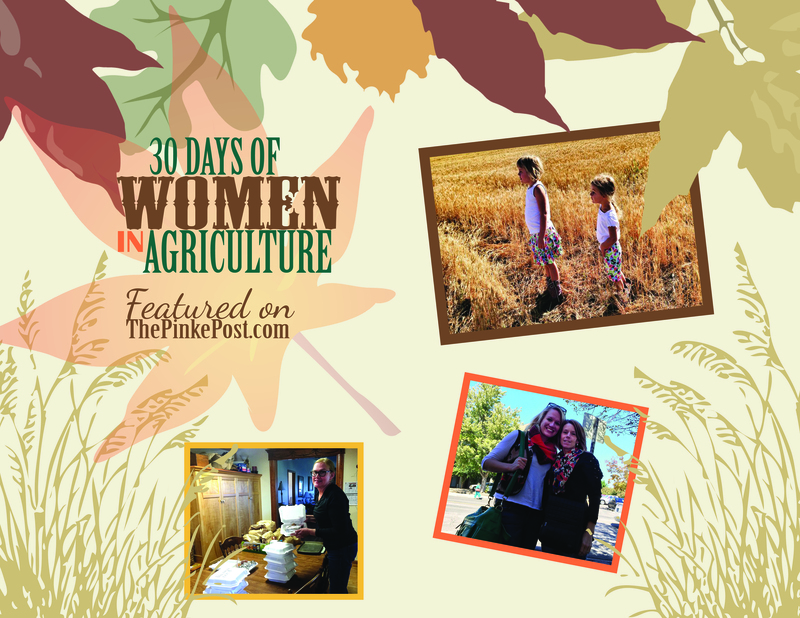 Introduction: Why Am I Blogging About 30 Days of Women in Agriculture? Might be a great product to introduce through the Co-Op grocery store coming to Bismarck in the next year too. I love all soup but I have to day my favorite would be chicken wild rice! I love turkey noodle soup made after Thanksgiving. I am a soup fan period. But if I could only have one for the rest of my life I would go with beef stew. I am having my fifth baby in February and my other 4 kids are 6 years old and younger so I really hope I win!!! I love chicken and wild rice soup! love chicken wild rice, but also just love the kneophla soups, as I am married to a german from Russia era man, but I am also of Ukrainian heritage and we share and love some of the same foods. I was raised on a farm south of Mercer and did many of the chores and things that you do. But my mother was the great gardener and is up in years and totally loves soups, and has a hard time cooking. This would be wonderful all of us. I love soups of all kinds, but tomato-basil ranks pretty high. I also love chicken-wild rice. I like almost all soup! I just made taco soup yesterday. A transplant to ND, I missed out on knoephla for years but am making up for it now! I love soup too, but right now my sister (who loves soup) could really use some GOOD food- she had foot surgery in Aug and is not able to get around very easily. So I would like to submit her name, Shyrll Lindteigen, Bismarck, for a chance to win your soup/bread. Thanks Annie- for being so very ambitious!!! Excited about this bread & soup CSA! I love all soups but beef barley is a fav! I’m a big soup fan, and knoephla is my favorite. I’d take it with me to a deserted island. I hope you don’t mind the reply 🙂 I can’t do a regular comment….but my go-to soup is my NaNa’s Brunswick Stew… We’d be eating that right now in S.C. where I’m from..sure do miss it! I love Knoephla and Cheeseburger SOup! This would be so fun! My family loves soup and homemade bread but sometimes with the hustle and bustle of “life” it can be hard to get it done. Annie solves this problem! My favorite soups are cream soups, and loaded baked potato soup is probably my favorite! I made White Chicken Chili last night, but I love most soups. 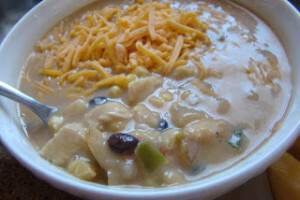 I really like White Chicken Chili! It’s my favorite. Love soup as a comfort food. Wild Rice, Potato and Corn Chowder are my top three!